The cryptocurrency niche is becoming somewhat crowded, and increasingly defined by a Bitcoin vs Ethereum vs Ripple war! 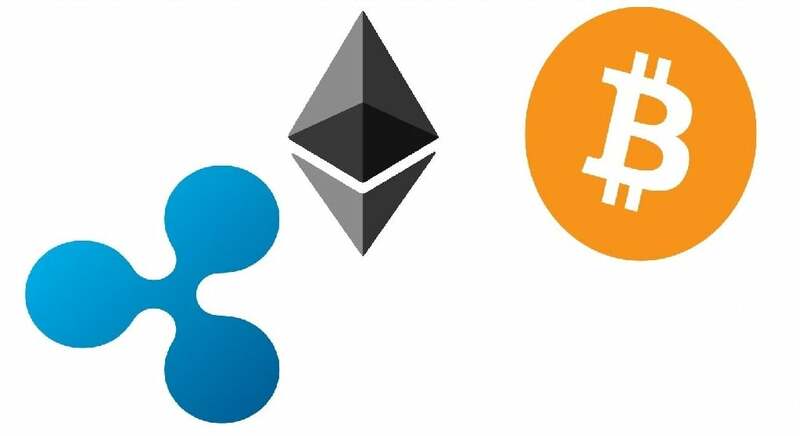 These three cryptos can be considered the market leaders, with Bitcoin the most established, Ethereum the major challenge to its supremacy, and Ripple having made a big splash in a short period of time. Although each of these products has generated a significant amount of noise in their short lifespans, many people still only have a sketchy understanding of the differences between the major crypto players. So here ValueWalk gives a rundown on the differences between the three, and assesses how the Bitcoin vs Ethereum vs Ripple battle is shaping up. When making the Bitcoin vs Ethereum vs Ripple comparison, there are four key areas to look at. The first of these is scalability; namely, how many transactions can be conducted by the cryptocurrencies every second. It is in this area that we can instantly see a massive difference between the three, and begin to understand how Ripple has indeed made such a Ripple! While both Ethereum and Bitcoin are scalable, the latter achieves a maximum number of transactions of 7 per second, while Ethereum can deliver nearly double this with around 15 per second. These figures may sound as if they hand Ethereum a major advantage, but Ripple absolutely blows both of the major players out of the water in this department. Ripple is capable of delivering a staggering 1,500 transactions every second, providing it with a huge advantage over Bitcoin and Ethereum. It is this above all else which has led to the early prominence of Ripple, and which could play a major part in the development of the cryptocurrency sector. Another major front in the Bitcoin vs Ethereum vs Ripple battle is the transaction of speed delivered by the three platforms. It is not hugely surprising to learn that Ripple has a message advantage here too, as both Bitcoin and Ethereum have acquired huge backlogs and ecosystems by now. Thus, the 40-minute transaction speed of Bitcoin is much slower than Ethereum, and massively slow in comparison to Ripple. Ethereum delivers a transaction speed of two minutes, with Ripple able to offer its transactions in merely seconds. Indeed, Ripple can deliver a transaction every four seconds, providing it with an absolutely massive advantage over Ethereum and Bitcoin at this time. However, another major consideration in the Bitcoin vs Ethereum vs Ripple comparison is whether the currencies have entered the mainstream of public consciousness. This has both advantages and disadvantages, with Ripple not particularly well-known at the time of writing, but also offering very attractive price structure in comparison to Ethereum and Bitcoin. The reality is that only Ethereum and Bitcoin can be considered part of the mainstream at present, but Ripple has been making headlines recently, and could rapidly enter the central territory of the niche in the coming months. In the Bitcoin vs Ethereum vs Ripple war, there is obviously only one winner in the price department. Bitcoin has escalated so rapidly in value that those who invested in the cryptocurrency in the early days are almost without exception significantly wealthy by now. The price of Bitcoin has touched $20,000, but is currently stable at around $15,000; an increase of 1,500% over the last 12 months. Ethereum is competitively priced at around $750, but its value has also escalated rapidly over the last couple of years. Meanwhile, Ripple can be considered an embryonic entry to the crypto niche, and is thus only valued at $1 per coin. Considering the advantages and potential of Ripple, this number is set to inflate significantly over the next few years. Ethereum can be considered slightly different to the other two currencies, being geared towards complicated interactions between several parties rather than consumer payments. CNBC has noted that it provides numerous potential uses, such as reconciliation, enabling smart contracts to be distributed on the Ethereum network. While Ripple is only the fourth largest cryptocurrency in terms of market capitalization, being worth $36 billion currently, it has advantages over both Bitcoin and Ethereum which could provide an explosion in is value in the foreseeable future. Ripple is pre-mined, with one hundred billion units in existence, twenty billion of which are retained by the creators of the currency. This differs from Bitcoin in particular, which is entirely based on the mining of its network to a fixed rate of 21 million potential Bitcoin units. The distributed platform provided by Ripple is particularly highly regarded, as it is tailored towards the financial service sector. “The ability to transfer from one currency to another instantly becomes possible with the XRP as the intermediary currency. Clearly, there’s a lot of excitement surrounding Ripple,” The Motley Fool noted. Bitcoin is arguably the purest cryptocurrency of the three, being completely decentralized, and based on a libertarian ethos. Bitcoin can be viewed as a reaction against central bank control of money, and one that has achieved a level of success that was scarcely possibly to imagine. Yet the antipathy of the established financial elite to Bitcoin could ultimately be its undoing, despite its absolutely unprecedented success. While Bitcoin is the investment story of the century so far, it is a story that has yet to unfold fully, with many investors bullish on its potential.